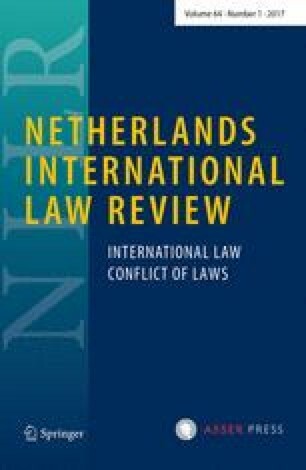 This article examines the use by the US of drone strikes in regions described as ‘outside areas of active hostilities’ a phrase that appears to presume the application of international humanitarian law. In response to this, the article examines these regions to assess whether armed conflicts can be said to exist, and thereby whether international humanitarian law does in fact apply. Periods of armed conflict are identified, as are periods which cannot be characterized as such. Consequently the relevant paradigms of international law applicable to the strikes are established, belying the presumption that international humanitarian law applies generally to drone strikes. Thanks go to James A Green, Susan Breau and Lawrence Hill-Cawthorne for support and helpful comments on early drafts, and to Jack Searle at The Bureau of Investigative Journalism and Chris Woods at Airwars for the provision of data on drone usage. This work was supported by a studentship from the Economic and Social Research Council (Grant No. ES/J500148/1). All websites last accessed 22 July 2016. Extraterritorial drone1 strikes were first undertaken by the US in 2001 as part of Operation Enduring Freedom in Afghanistan.2 Since then, their use has increased dramatically and includes operations in conflicts in Afghanistan, Iraq, Syria and Libya, as well as covert operations in Pakistan, Yemen and Somalia. A large number of drone strikes have been carried out ostensibly in secret, in places described by the US government as ‘outside areas of active hostilities’,3 the vast majority of which are part of the extensive and on-going operations in Pakistan, Yemen and Somalia. The phrase ‘outside areas of active hostilities’ is curious; it does not reflect recognized international law pertaining to uses of force or the conduct of hostilities, but nonetheless implies a temporal and spatial classification of events in a quasi-legal manner. The idea of forcible actions being ‘outside’ (or, conversely, ‘within’) implies a link with the notion of armed conflict, a legal category applied to situations bearing certain specific characteristics, and which activities can be described as occurring either ‘outside of’ or ‘within’. When an armed conflict is deemed to exist, the legal paradigm governing the conduct of hostilities changes. It is almost universally recognized that during armed conflict States’ international human rights law (IHRL) obligations are to be interpreted through the lens of international humanitarian law (IHL)4 while, during peacetime, IHRL obligations are accorded their ordinary meaning. The augmentation of IHRL by IHL occurs either by lex specialis,5 mutual application6 or derogation,7 creating a paradigm of law that is largely less restrictive8 of the use of force than that outside of armed conflict, meaning that States that are party to armed conflicts are able lawfully to resort to greater uses of force than would otherwise be available. In this manner, the classification of ‘armed conflict’ acts as a gatekeeper between low levels of force, essentially for purposes of law enforcement, and higher levels of force having a military purpose. This dichotomy of paradigms between peacetime and armed conflict appears transcended by US use of the phrase ‘outside areas of active hostilities’. While certain restrictions, self-imposed by the US, make methods of combat ‘outside areas of active hostilities’ potentially more restrained than those undertaken in ‘areas of active hostilities’,9 the phrase obscures the parameters of the concept of armed conflict, as it is applied to regions in which no attempt has been made to demonstrate that armed conflicts are occurring. Though official statements on targeting ‘outside areas of active hostilities’ do not explicitly state that IHL rules are applied to situations that are not armed conflict, IHL is nevertheless recognized as the primary corpus of law in these areas,10 suggesting either that the existence of armed conflict is presumed, or that IHL is being purposefully applied in situations that do not amount to armed conflict. Similar sentiment permeates the 2010 speech of Harold Koh, Legal Adviser to the US State Department during the Obama administration, in which he argued that ‘a state that is engaged in an armed conflict or in legitimate self-defense is not required to provide targets with legal process before the state may use lethal force’.11 Elsewhere, the US government juxtaposed lethal targeting within an armed conflict with that against individuals ‘otherwise targetable in the exercise of national self-defense’.12 These statements gesture towards an attempt to broaden the circumstances in which lethal targeting is permitted, allowing military force to be used outside of armed conflict when the requirements for the lawful resort to force in self-defence under jus ad bellum are satisfied. This conflation of the jus ad bellum with IHL is contrary to established law, in which the determination of whether a use of force is lawful under jus ad bellum has no bearing on the permissible manner in which hostilities may be conducted. The phrase ‘outside areas of armed conflict’ thus forms part of a perceived trend in US foreign policy towards legitimizing the use of military force outside of armed conflicts, a palpable manifestation of which is the notion of ‘naked self-defence’,13 or ‘self-defence targeting’.14 Elsewhere it has been suggested that, if uncontested by other States, US practice, in carrying out military operations in this manner over the previous decade and a half, has the potential to encourage the development of customary international law in support of a broadening of permissible military force outside of armed conflict.15 In the absence of general practice accepted as law,16 the present author rejects the idea that such a norm of customary international law is crystallizing, but, nonetheless, it does appear that actions have been presumed by the US to be governed by IHL without a determination that they are carried out during armed conflict. This article will first set out the international law governing when armed conflicts exist, focusing on the criteria for identifying non-international armed conflicts (NIACs) (Sect. 2). It will then apply these criteria to instances in which drones have been deployed ‘outside areas of active hostilities’, namely the purported ‘global NIAC’, as well as the discrete campaigns in Pakistan, Yemen and Somalia (Sect. 3). These regions are focused on as they comprise the principal theatres for lethal drone operations and have been classified by the US as being ‘outside areas of active hostilities’, in contrast with Afghanistan, Iraq, Syria and, reportedly, Libya,18 which are recognized as ‘areas of active hostilities’.19 It will be concluded that there have been reasonably clear periods of NIAC within each State, as well as periods that cannot be defined as such due to insufficiently intense fighting (Sect. 4). The identification of these periods of NIAC allows tentative accounts to be made as to the number of drone strikes that have occurred within and outside of NIAC, confirming the legal paradigms applicable and demonstrating that the US was mistaken in presumptively applying IHL. As a result of this analysis conclusions will also be made as to the (lack of) normative power of the designation of regions as being ‘outside areas of active hostilities’. Armed conflicts may be either international or non-international.20 Under common Article 2 of the Geneva Conventions, an international armed conflict (IAC) occurs in ‘all cases of declared war or of any other armed conflict which may arise between two or more of the High Contracting Parties’. Thus, an IAC is a conflict that pits a State (or States) against another. It is unnecessary to consider IACs presently as US uses of force in Pakistan, Yemen and Somalia have only been against non-State actors (NSAs), rather than States.21 Therefore, if drone strikes have occurred within armed conflicts these can only have been NIACs. Indicative criteria have also been provided to evidence requisite organization and, like the intensity requirement, no single characteristic is ‘essential to establish whether the “organization” criterion is fulfilled’.41 These include ‘the existence of headquarters, designated zones of operation, the ability to procure, transport and distribute arms’,42 the erection of checkpoints43 the issuing of public communiqués and use of spokespeople.44 The need for a ‘command structure’ has been asserted45 and interpreted widely to mean that a group is able to speak ‘with one voice’46 and ‘formulate […] military tactics’.47 In the Boškoski judgment, the ICTY held that ‘the degree of organization required to engage in “protracted violence” is lower than that required to carry out “sustained and concerted military operations”’.48 Similarly, the Inter-American Commission on Human Rights (IACHR) held the organization requirement to be satisfied by a group’s ability to carefully plan, coordinate and execute a military operation.49 Thus the jurisprudence paints a picture in which organization need not match that of national armed forces. In subsequent sections, these indicative criteria will be applied to the hostilities in which US drone strikes have occurred. Though seemingly paradoxical, the possibility of an ‘internationalized’ NIAC is important in this analysis as all US drone strikes have been extraterritorial, rather than internal. While this article is not the place to continue the debate over internationalized NIACs, a brief overview is necessary. Key is the wording of common Article 2, defining IAC as being ‘between two or more of the High Contracting Parties’. The fundament of IACs is their international nature—they occur between States, recalling the original term ‘international’ posited by Jeremy Bentham, meaning ‘the mutual transactions between sovereigns’.53 However, the presence of multiple States will not necessarily transform a NIAC into an IAC, as affirmed in jurisprudence54 and scholarship,55 the conflict must be between those States. Considering briefly some permutations of these so-called internationalized conflicts, it becomes clear how, in many instances, NIACs can remain non-international. When a NIAC spills-over into a third State it continues not to be between States and so remains a NIAC despite its new cross-border geography.56 Likewise, if a third State intervenes in a NIAC at the invitation of a territorial State government, the fighting remains between States and NSA, thereby continuing to be non-international.57 Of course, if third States intervene on behalf of a NSA against another State, the NIAC will become an IAC as it opposes one State against others.58 The most controversial iteration of internationalized NIAC is that of a State engaging in a conflict with a NSA within the territory of another State where there is no pre-existing conflict. Despite calls for international law to recognize a new type of conflict,59 the lex lata is that, where intervention occurs with the consent of the territorial government, by not opposing two States the conflict remains a NIAC, a finding with much support.60 Where intervention is done without consent, a separate IAC may arise between the intervening and host States, contemporaneous with the NIAC between intervening State and NSA,61 though if fighting between State and NSA becomes ‘inextricably bound up’ with that between States, both conflicts may be part of a single IAC, for purposes of identifying which corpus of IHL is applicable.62 It is therefore submitted that IACs are only ever those that pit State against State, with all others being NIACs. Now that the parameters of NIAC have been sketched they can be applied to the factual situations ‘outside areas of active hostilities’ in which drone strikes have been used by the US. This will enable the assessment of whether these situations were or were not instances of NIAC and therefore whether the US was mistaken in presumptively applying IHL. This section will consider first the notion that these drone strikes are part of a global NIAC, before moving on to consider individually the situations in Pakistan, Yemen and Somalia, to assess whether there are discrete NIACs occurring in those regions. The notion of a global armed conflict does not correlate with existing legal categories to which IHL applies. It is nevertheless possible that the US is in a single internationalized NIAC against a homogeneous NSA present in Pakistan, Yemen and Somalia, which would bring its drone programmes within the scope of IHL. Indeed, it has been argued that ‘armed Islamist extremists remain the enemy that carried out the September 11, 2001 attacks, and they remain the belligerents in the ongoing War on Terror’.71 For a group to be a single non-State party to a NIAC, each geographically separate entity must fit within the overall organization of a single NSA, thereby satisfying the organization threshold.72 This necessitates, at least, that the group possesses a command structure73 and speaks ‘with one voice’.74 Arguably, the organization requirement becomes harder to satisfy when a (purported) group straddles international borders. For instance, the ICTY has identified ‘the ability to procure, transport and distribute arms’75 as indicative of organization, a significantly harder task when done across borders. The oft-identified NSA party to the purported global conflict is ‘al-Qaeda, […] the Taliban and associated forces’.76 That these forces are ‘associated’ immediately implies the opposite of a unified NSA with one voice, as to be ‘associated’ necessarily requires separateness. The US defines an ‘associated force’ as ‘(1) an organized, armed group that has entered the fight alongside al Qaeda, and (2) a co-belligerent with al Qaeda in hostilities against the United States or its coalition partners’.77 It has been argued that the term ‘associated forces’ provides the US with scope to use force against ‘regional extremist Islamist groups waging an armed conflict against the United States [that] often do not conduct joint operations with al Qaeda’78 but this appears only to be in terms of US domestic law.79 The implication that regional NSAs, unaffiliated with al-Qaeda, will automatically be part of the NIAC between al-Qaeda and the US is manifestly incorrect under the NIAC organization threshold. The first category—NSAs having ‘entered the fight alongside al Qaeda’—is prima facie below the organization threshold as it clearly envisages separate groups fighting together, rather than one organizationally unified group. The need for NSAs to speak with one voice80 within a single command structure81 requires more than the ideological identification of one group with another. The word ‘alongside’, in the US definition, like ‘associated’, implies organizational separation. The second category, ‘co-belligerency’, has been reasserted by the US as a basis upon which to include multiple groups within one NIAC.82 Its invocation is problematic because it is a concept that historically applies to IACs and requires the participation in hostilities to a significant extent.83 Its use within NIAC appears to be a conflation of the laws of IAC and NIAC. The notion that one NSA can be a co-belligerent purely by virtue of engaging in violent acts against the same State as another NSA is contrary to the NIAC organization requirement as it bypasses the need for unity of command structure. Therefore, it is submitted that two NSAs cannot be viewed as a single entity in this manner. Ryan Vogel has asserted that al-Qaeda, conceived of as a global entity, satisfies the organization requirement as it: ‘maintains “headquarters” in Pakistan and Yemen from which it coordinates attacks’; ‘operates within designated Zones in Afghanistan, Pakistan, Yemen and elsewhere’; and ‘has demonstrated a persistent ability to procure, transport, and distribute arms to countries across the globe’.84 Vogel’s conclusions are based on a 2012 Report by the US Department of State85 and accords with the position of that administration. It is submitted that this view fails to fully reflect the reality of the nature and degree of co-ordination between disparate al-Qaeda franchises: an examination of the facts demonstrates that there cannot be a single NIAC between the US and one homogeneous NSA, encompassing Pakistan, Yemen and Somalia. The US has undertaken drone strikes in Pakistan against members of al-Qaeda, Tehrik-i-Taliban Pakistan (TTP) and the Haqqani Network.86 In Yemen, drone strikes have targeted al-Qaeda in the Arabian Peninsula (AQAP),87 while in Somalia they have targeted al-Shabaab.88 Though these groups share a broad ideology, that alone is insufficient to demonstrate unified organization89—they are distinct groups operating in different States. In Pakistan, al-Qaeda and TTP appear sufficiently integrated as they purportedly train and plan attacks together,90 which accords with the jurisprudential understanding of organization as including the formulation of military tactics91 sufficient for ‘protracted violence’.92 However, this group does not include those that operate in other States. Al-Qaeda internationally comprises autonomous cells that lack central organization.93 AQAP in Yemen has been described as ‘the most active operational franchise’ of al-Qaeda94 but operating as a mere ‘terrorism franchise’ is below the requisite level of organization to view multiple groups as homogeneous.95 Likewise, despite having strong links to al-Qaeda,96 al-Shabaab in Somalia is an autochthonous group with its own command identity. Thus these distinct groups are not one single NSA for the purposes of the NIAC organization requirement and so the US cannot be in a single multinational NIAC. Therefore, IHL may not be presumed to apply on this basis. Nonetheless, the US may be fighting a series of distinct NIACs in different States. The ICTY has confirmed that the existence of NIACs can only be determined on a case-by-case basis101 and, as such, the next sections will consider in turn the situations in which drones have been deployed in Pakistan, Yemen and Somalia. In Pakistan, US drone strikes have targeted members of al-Qaeda, TTP and the Haqqani Network.102 There are three possible avenues to include these strikes within a NIAC: they may be spill-over from the conflict in Afghanistan; they may be part of a NIAC between the Pakistani government and a non-State party; or they may be part of a NIAC between the US and a non-State party. The fighting in Afghanistan appears to satisfy the intensity and organization requirements of a NIAC. While duration is a less conclusive determinant of intensity than magnitude, it is a factor,106 and the non-international fighting in Afghanistan has lasted from June 2002 until the present, strongly suggesting satisfaction of the criterion. In terms of casualty and fatality numbers the non-international part of the conflict resulted in the deaths of 23,496 civilians by the end of 2014.107 In addition, it has been estimated that at least 2853 Afghan National Army soldiers were killed between 2003 and 2013,108 2771 of which were between 2010 and 2013.109 Considering available data covering the period up to 2014, deaths among Afghan civilians and armed forces is increasing.110 Since the beginning of 2003 there have been 2320 US fatalities111 decreasing yearly after a peak in 2010.112 Though the US’ involvement in Afghanistan is purportedly drawing to a close, it has increased its troop presence113 and the Obama Administration has stated it will maintain a force of 5500 soldiers until at least 2017.114 Statistics on the number of Taliban and al-Qaeda fatalities are sparse, though one estimate suggests that 4300 Taliban fighters may have been killed in 2014 alone.115 In addition, all sides have mobilized armed forces, using military rather than law enforcement weapons, satisfying further criteria for the existence of a NIAC. Taken together, these data provide a compelling case in favour of satisfaction of the NIAC intensity requirement. Thus there is likely a continuing NIAC in Afghanistan, which may have spilled-over into Pakistan, though this does not mean that all drone strikes in Pakistan will come within that NIAC. Due to the organizational NIAC requirement, only members of the non-State party to, or individuals directly participating in, the NIAC in Afghanistan may be targeted in Pakistan as part of that same conflict. Many of those targeted by US drone strikes in Pakistan have been members of NSAs not party to the NIAC in Afghanistan. A lack of clear data on the identities of those killed limits the ability to say with certainty the number of drone strikes linked to the Afghanistan conflict. However, from a list of 314 militants killed by drones whose identities have been confirmed by The Bureau of Investigative Journalism, only 12 were specifically acknowledged as involved in planning and carrying out activities in Afghanistan, while 25 were members of groups generally active in Afghanistan.125 Therefore this brings only 18 out of 233 strikes126 within a NIAC and, though it is likely that the number is actually higher, this demonstrates the limited scope of the NIAC in Afghanistan to bring drone strikes in Pakistan within the remit of IHL. Therefore it is necessary to consider other avenues through which drone strikes may be viewed as part of a NIAC. One possibility is that a NIAC exists between the Pakistani government and a NSA, into which the US has been invited. Fighting has been ongoing in the Federally Administered Tribal Areas (FATA) region, and so it is necessary to consider whether this reaches the requisite thresholds of intensity and organization to be deemed a NIAC. The number of clashes and casualties in Pakistan support a conclusion that the fighting is sufficiently intense.136 In the Limaj case, the Trial Chamber of the ICTY identified a NIAC based on ‘sporadic acts of violence’ over the course of a year,137 ranging from an attack that resulted in 83 deaths to a 20 minute firefight with no casualties,138 ‘great devastation to a limited number of buildings’139 and the use of ‘tanks and armoured vehicles, heavy artillery weapons, air defence systems, [armoured personnel carriers], machine guns, and explosives, among other weapons’.140 The Chamber asserted that these facts demonstrated intensity sufficient for a NIAC.141 TTP has used military-grade weapons and the government has responded by deploying the army rather than the police, both evidence of NIAC-level intensity.142 Furthermore, the conflict has been of a significant duration, lasting over eight years. These factors support the contention that the conflict is ‘protracted’. In terms of organization, TTP and al-Qaeda train and plan attacks together.143 This suggests that both may come within the same command structure (sufficient to plan and execute ‘protracted violence’144) and, therefore, in terms of the classification of a NIAC, may be conceived of as a single NSA. Alternately, the Pakistani government may be engaged in two NIACs, one against TTP and another against al-Qaeda. The TTP/al-Qaeda amalgam has training bases and headquarters in South and North Waziristan, where it controls extensive territory. In addition, it has demonstrated an ability to obtain and distribute arms, possesses a command structure capable of coordinating the protracted violence detailed above, and has engaged in negotiations with the government, all indicate requisite organization.145 As such it appears that this combined group may be a single NSA satisfying the NIAC organization requirement, though the lack of substantial evidence prevents a definitive conclusion. Nonetheless, since the death of Hakimullah Mehsud in 2013, the group has reportedly splintered into multiple groups that lack central organization146 meaning that it may no longer satisfy the organization requirement, despite continuing to carry out intense attacks in 2016.147 The Haqqani Network historically has been closely involved with both but focuses its activities instead in Afghanistan.148 Indeed, the group has been linked to the Pakistani government and was only banned in 2015149 and so cannot be seen as part of a single group with TTP and al-Qaeda in a NIAC in Pakistan. Lastly, US drone strikes may fall more comprehensively within a NIAC if the US is engaged in its own NIAC against TTP and al-Qaeda in Pakistan. Force used by the US in Pakistan (excluding that which is part of the spill-over conflict from Afghanistan) has been predominantly carried out with drone strikes. Between 2004 and 2007 there were 11 strikes, but this increased after 2008 to 128 in 2010, causing 1108 deaths. This has receded and in 2015 there were only 13.153 Blank and Farley have argued that these drone strikes inherently satisfy the intensity requirement.154 However, for the existence of a NIAC both sides must have used force: the Tadić NIAC definition specifically refers to protracted violence ‘between’ parties,155 implicating a need for violence from each side. The fact that the US has resorted to military force, though indicative of the intense violence of a NIAC, is not determinative.156 It is necessary, therefore, to consider the use of force by the non-State party to the conflict. In the case of a possible NIAC between the US and a TTP/al-Qaeda amalgam, the intensity and organization requirements are deeply connected—sporadic acts of violence carried out globally may be sufficiently intense when aggregated, if they were undertaken by a single group satisfying the organization requirement. Conversely, if the organization threshold is not met, acts of violence cannot be considered cumulatively and are, therefore, less likely to reach the intensity threshold.157 The ICTY’s reference to ‘the degree of organisation required to engage in “protracted violence”’158 further demonstrates this interrelatedness of the thresholds. It has been argued that attacks by al-Qaeda globally can be understood cumulatively as beyond ‘isolated or sporadic’ thereby satisfying the intensity requirement.159 However, this view is unpersuasive as actions ostensibly carried out by al-Qaeda in Indonesia, Spain, the US, the UK and elsewhere have in fact been perpetrated by franchises. Disparate franchises cannot satisfy the organization requirement and so their actions cannot be considered collectively when establishing intensity.160 Therefore, in assessing whether the US is in a NIAC in Pakistan, the violence carried out by the specific non-State party must be considered in isolation. The TTP/al-Qaeda amalgam has carried out very few attacks against the US: an analysis of available news reports reveals that between 2002 and 2016 there were three carried out by the group, resulting in nine deaths, three of which were American.161 The intensity requirement distinguishes NIACs from ‘banditry, unorganized and short-lived insurrections, or terrorist activities’162 and the actions of the TTP/al-Qaeda against the US are an archetypal example of terrorism. Although terrorism can produce an armed conflict163 the number and intensity of those carried out against the US are insufficient to enable such a conclusion. A further possible argument is that a NIAC may exist because violence was employed against a foreign State. In the La Tablada case the IACHR specified an ‘internal’ aspect to violence falling short of NIAC,164 raising the possibility that the internationalized nature of TTP/al-Qaeda attacks might produce a NIAC. However, the fact that violence is directed against a State other than the host does not have any special quality that creates a NIAC. No such suggestion has been made elsewhere in jurisprudence or commentary. The ICTY’s cleaving of NIACs from ‘banditry, unorganized and short-lived insurrections, or terrorist activities’ in the Milošević case,165 though implying an internal element with the word ‘insurrections’, clearly, by the use of ‘or’, sees terrorism as a separate type of violence, a type the tribunal did not class as necessarily internal. That, coupled with the fact that NIACs themselves need not be internal in terms of their protagonists or geographical scope, supports a conclusion that an internationalizing element does not transform the legal classification of violence. It is therefore submitted that the violence between the US and TTP/al-Qaeda falls short of the intensity characterizing a NIAC. Based on the above considerations of possible NIACs in Pakistan, those US drone strikes carried out as part of the conflict between the Pakistani government and the TTP/al-Qaeda amalgam (during the period that the Pakistani government consented to US intervention) and the conflict in Afghanistan between the US and the Taliban, al-Qaeda and the Haqqani Network can be considered to have occurred within NIAC, and are therefore to be subject to IHL. At the time of writing, this equates to 381 out of 423 drone strikes in Pakistan. The fact that a majority of strikes have been part of NIAC belies the suggestion that they were carried out ‘outside areas of active hostilities’ and as such their lawfulness rests with IHL. Conversely, a sizable minority where carried out outside NIAC and must therefore satisfy the restrictive rules of IHRL to have been lawful. When considering NIAC involving the government of Yemen it is necessary to distinguish one possible conflict, with AQAP, from another, involving Houthi rebels. The latter appears to have begun in 2004 with a series of intense clashes between Houthi groups and government forces167 involving around 2000 troops and causing up to 600 deaths.168 Sporadic fighting continued until 2014 at which point it escalated and the Houthis captured much of Sana’a, the capital.169 A coalition of States have intervened at the request of the Yemeni government,170 involving airstrikes which continue at the time of writing.171 Constraints of space prevent a detailed consideration of this conflict, but the use of air strikes, deployments of troops, assertion by the Houthi rebels that they will abide by IHL172 and the agreement of a (failed) ceasefire,173 suggest the violence is a NIAC. Regardless, the US has targeted its drone strikes in Yemen only against AQAP, Ansar al-Sharia or al-Qaeda, not Houthi groups.174 The Houthis are opposed to al-Qaeda,175 described as their ‘strongest opponents’176 and the two groups cannot in any way be connected in the sense of being a single party to a NIAC. Thus it is necessary to determine whether a separate NIAC exists in Yemen, between AQAP and the government. Yemen has been in a state of instability since before unification in 1990. This grew more acute after the 2011 Arab Spring, with multiple insurgent groups acting against the government. The existing literature has broadly focused on the more obvious conflict between the government and the Houthi rebellion, rather than that between the government and AQAP, and detailed analysis of that conflict appears almost entirely absent. This is likely in part due to its overshadowing by the Houthi NIAC, but also because the intensity of the AQAP conflict has only emerged in recent years. What academic discussion there has been is divided as to the nature of hostilities. Ramsden stated in 2011 that ‘the combat in Yemen is not even close to being sufficiently protracted or intense so as to amount to a localized NIAC’.177 Writing at the very early stages of the fighting, this conclusion is unsurprising as there was little evidence to enable a rigorous analysis. Similarly, in 2012, Breau and Aronsson briefly discussed a possible separate NIAC involving AQAP, concluding that the intensity and organization requirements were not satisfied.178 Conversely, in 2012, the ICRC implicitly recognized a NIAC, calling for all sides to respect IHL.179 More recent scholarship contains greater agreement that there is in fact a NIAC involving AQAP.180 Nonetheless, the in-depth doctrinal analysis required to make a conclusive determination as to the classification of the conflict remains outstanding. Al-Qaeda in Yemen (AQY), the precursor to AQAP, had a semblance of government support post-unification, and Islamic militants returning from jihad against the Soviet Union in Afghanistan were used by President Saleh as a counterbalance to Marxist politicians of the newly absorbed People’s Democratic Republic of Yemen.181 AQY undertook a variety of terrorist attacks against foreign targets, including the 2000 USS Cole bombing,182 but did not conduct systemic attacks against the Yemeni government. After 9/11 the Saleh government changed its policy towards AQY and actively pursued it183 though through domestic law enforcement.184 Nonetheless, until 2009 AQY and then AQAP still primarily targeted non-Yemeni objects,185 meaning there was no NIAC between them and the government. The government launched an offensive against AQAP in 2009 in response to an attempted attack on Saudi Arabia and the US186; this involved cooperation with the US, though without the use of armed drones. In November 2009 AQAP action against the government began, with the killing of seven Yemen security personnel.187 Despite this, the number of attacks by AQAP against the government was minimal and sporadic and therefore did not satisfy the NIAC intensity requirement. It is submitted therefore that the conflict between the Yemeni government and AQAP reached the level of intensity necessary for classification as a NIAC during the period of 2011–2012. However, US drone strikes have continued since that time so it is necessary to consider whether the combat has remained sufficiently intense. Clearly the law is unsettled and open to interpretation. One may adopt a broad interpretation that a NIAC will continue until agreement is reached or the NSA party no longer exists, thereby prolonging the application of IHL and the modified IHRL protections of those subject to it. The alternative is a restrictive interpretation that a NIAC ends when hostilities fall below the intensity threshold, limiting the temporal scope of IHL. Regardless, the choice of interpretation has important implications for the analysis of US drone strikes in Yemen (and Somalia) as the fighting has occurred over long periods with oscillating intensity, likely falling below the Tadić threshold, before satisfying it again subsequently. As stated above, ‘terrorist activities’ are distinct from NIACs when they do not satisfy the Tadić test.233 There is no clear State practice to suggest when terrorist activities are intense enough to become a NIAC, though ICTY jurisprudence is informative. Considering the facts presented above, it seems likely that fighting between AQAP and the Yemeni government fell below the intensity threshold between 2013 and March 2015: there are gaps of many months between attacks (there were 7 reported in 27 months) and the number of those killed is significantly less (an average of approximately 5 per month during the period).234 Nonetheless, it has been suggested elsewhere that six attacks, globally, over a period of six years is sufficiently intense.235 This suggestion was made in support of the notion that the global acts of al-Qaeda were part of a single NIAC, a notion that has—within this work—been argued to be incorrect under international law.236 Even if the underlying assertion as to intensity is correct in terms of the time-frame of attacks (one per year),237 the six attacks referred to238 produced a combined death-toll of 3525 (an average of 49 per month) ten times that of the relevant period in Yemen, suggesting those in Yemen would still remain far below the intensity threshold. In the period from March 2015 until the present, the fighting may have crossed the intensity threshold again, though less overtly than in 2011–2012. While the death-toll remains comparatively low, more territory has been captured, government buildings have been destroyed and the response has been military; all indicative of requisite intensity.239 Further, the Security Council condemned the actions of AQAP, referring to the fighting in terms of IHL,240 though it subsequently appeared to describe it as terrorism, with no reference to IHL.241 Therefore, the violence in Yemen arguably intensified enough during this period to satisfy the intensity threshold. This conclusion means that either there have been 86 drone strikes in Yemen carried out outside of the IHL framework, or just the individual one that occurred in November 2002. In either case, it has been demonstrated that the existence of a NIAC between AQAP and the Yemeni government and the latter’s consent to US intervention does not bring the entirety of the US drone programme within the scope of IHL. Of course, all drone strikes will governed by IHL if the US was in its own NIAC with AQAP, and this possibility will now be considered. It has already been proposed that AQAP has the requisite organization, so that part of the analysis is unnecessary. In addition, it was shown above that al-Qaeda cannot be understood to be a globally organized group such that all terrorist acts carried out by regional franchises in its name can be attributed to it.260 Therefore, in terms of intensity, we must consider only those acts carried out against the US perpetrated by AQAP (or its predecessor, AQY). Farley has argued succinctly that violence between the US and AQAP is insufficiently intense to be a NIAC,261 as has Heller,262 and it is submitted that these arguments are correct: however, further analysis will help reinforce this conclusion. Attacks upon the US by AQAP do not appear to satisfy the intensity requirement of a NIAC, when considered through the lens of the indicative factors that have informed the ICTY. There are three attacks or attempted attacks, targeted against the US, that appear unquestionably attributable to AQAP or AQY: the attack by suicide-boat bomb on the USS Cole in October 2000, in which 17 sailors were killed263; the failed December 2009 bombing of a flight to Detroit264; and the failed October 2010 bombing of US-bound cargo planes.265 In addition, it has been claimed that AQAP ‘radicalized’ those responsible for the 2009 shooting at Fort Hood, Texas and the 2010 attempted bombing of Times Square.266 It is submitted that the ‘radicalization’ of an individual provides an insufficient connection to the NSA under the organization threshold for their actions to be considered within an analysis of intensity, in the manner mandated in the Boškoski judgment.267 Radicalized individuals like these are not under the auspices of a NSA’s command structure for purposes of planning armed engagements. Finally, Terrill has suggested that the attacks of 11 September 2001 against the US can be attributed to AQAP; he claims a ‘subtle Yemeni link’ in that some of the hijackers were ‘Saudis of Yemeni descent’,268 Osama Bin Laden’s fourth wife was Yemeni,269 and he (Bin Laden) had funded some al-Qaeda activities in the country.270 It is submitted that this is insufficient to satisfy the organization requirement of a NIAC that would be necessary in order to include this attack within the present intensity analysis. Simultaneously, of course, the US has carried out drone strikes against AQAP which could be suggested to push the total violence over the NIAC intensity threshold. It has been argued that the definition adopted by the ICTY in the Tadić case, in focusing on ‘protracted armed violence between governmental authorities and organized armed groups’271 emphasizes the need for violence from at least two parties.272 This understanding is implicit in common Article 3 of the Geneva Conventions, by its application to ‘each Party to the conflict’. Therefore, to pass the threshold, intense violence must have occurred as a result of actions on both sides of the conflict which, in this case, has not occurred, the only deaths being 17 US sailors in a 16-year period. As a result of this analysis, it is clear that there have been significant periods amounting to NIAC, between the government of Yemen and AQAP, into which the US has been invited to intervene. It is difficult to say with certainty how many strikes fall within this NIAC due to the lack of clarity surrounding the end of NIAC. As stated above, a restrictive interpretation of the end of NIAC means that 86 out of 198 strikes (and between 328 and 492 killed out of between 904 and 1308) occurred outside of NIAC.273 Conversely, under a permissive interpretation all bar one strike and six deaths occurred within NIAC. Nonetheless, despite the ambiguities of the law producing two distinct figures, it remains clear that drone strikes have not been pursued in a legal vacuum and that claims as to the applicable paradigm of international law can be made. While the term ‘outside of active hostilities’ seems to flatten out the contours of the fight against AQAP such that drone strikes in the region are all presumptively governed by IHL, the reality is that there are strikes that formed part of the NIAC and one or more that did not. Those in the latter category cannot but be considered through the lens of IHRL obligations given their ordinary meanings, without being interpreted through IHL. In Somalia, US drone strikes have been consented to by the government which, like that of Yemen, has very weak effective control but maintains de jure authority over the State, enabling it to give valid consent to third State uses of force.274 Drone strikes have been carried out against al-Shabaab exclusively;275 beyond sharing an ideology, al-Shabaab is not part of any NSA with which the US is engaged in a NIAC elsewhere, so there is no question of strikes in Somalia being part of a spill-over conflict. Thus, it is necessary, as with Pakistan and Yemen, to determine whether there exists a NIAC between the Somali government and al-Shabaab or, alternately, between the US and al-Shabaab. This question has been given insufficient treatment previously; Alasow has asserted the applicability of common Article 3 to the broader conflict in Somalia—not just that involving al-Shabaab—but without a detailed consideration of intensity and organization.276 It is therefore submitted that it cannot be viewed as conclusive of the issue, necessitating further engagement, which will be carried out presently. Al-Shabaab germinated within the ICU but cannot be said to have carried on the ICU’s NIAC with the TFG. It was at first ‘a relatively marginal insurgent group’288 and was ideologically distinct from the ICU.289 Thus it is necessary to consider the conflict between al-Shabaab and the government in isolation when determining its classification. During the subsequent period al-Shabaab twice attempted to capture Mogadishu, the capital city. In May 2009 the group (in collaboration with another NSA, Hizb al-Islam) engaged in a protracted battle for the city, against TFG and Ugandan troops,299 involving heavy weapons by both sides, including mortars,300 tanks and armoured personnel carriers (APCs).301 The violence resulted in the displacement of 60,000 civilians302 and up to 200 deaths.303 A further offensive against the city, in August 2010 involved at least 1800 al-Shabaab fighters and an opposing AMISOM force of infantry and tanks.304 These examples suggest the fighting between al-Shabaab and the government remained sufficiently intense throughout 2010. Based on this analysis it is submitted that al-Shabaab has the characteristics of a sufficiently organized group, and that the violence between it and the government meets the intensity threshold recognized within international law. Therefore, a NIAC has existed in Somalia between these parties since 2007 or 2008 and is ongoing at present. As the present author has asserted elsewhere,321 the US was invited to join the NIAC by the Somali government in 2007, rendering it a party to the NIAC. Nevertheless, at least since 2013 consent given has been specifically restricted to drone strikes against non-Somali fighters.322 Prior to this, six drone strikes were carried out that are, as such, quite likely within the NIAC. Out of 21 drone strikes since 2013, there have been three that directly targeted fighters whose nationality was certainly Somali.323 Therefore these strikes may be outside of the NIAC unless specific consent was received. They will therefore likely only be subject to IHL if there is a separate NIAC between the US and al-Shabaab. In three other cases, airstrikes involving drones targeted large groups of fighters, in one instance reportedly killing up to 200.324 Though foreign fighters feature in al-Shabaab, they in no way comprise a majority of the group,325 therefore, in cases of drone strikes against large groups, it would have been very difficult for the US to limit their targeting to non-Somali fighters. Thus, it is probable, though not certain, that these strikes also fall outside the scope of this NIAC, though again, specific consent may have been given. Finally, there have been 15 strikes since 2013 in which it has been impossible to confirm the nationality of those targeted,326 and as such no determination can be made either way as to the inclusion or exclusion of the strikes within the NIAC. Therefore, overall at least three, and possibly as many as 21, drone strikes cannot be included within the NIAC between the Somali government and al-Shabaab. The final aspect of this analysis will consider whether a NIAC exists (or existed) between the US and al-Shabaab, thereby bringing a greater number of drone strikes into the remit of IHL. It has already been shown that al-Shabaab easily satisfies the organization threshold, so it is necessary only to consider the intensity of the violence. Since 2011, the US has carried out 27 drone strikes against al-Shabaab327 but, as stated previously,328 the actions of a single party cannot, in and of themselves, satisfy the intensity threshold of a NIAC. Al-Shabaab has engaged in international acts of violence, but these have primarily been in Kenya, and none have been against the US. The only instances of actions taken by al-Shabaab against the US have been its defence against an aborted Navy SEAL attack upon one of the group’s commanders,329 and an al-Shabaab video that called for ‘lone wolf’ attacks to be carried out in shopping centres in the US, Canada and the UK, though the threat was described as not credible.330 Therefore it is impossible to conclude that there is a NIAC between al-Shabaab and the US. A lack of information as to the identities and nationalities of those killed makes it difficult at this stage to confirm with certainty which drone strikes occurred within a NIAC, though some conclusions can be made. It is likely that all six strikes prior to 2013 were within a NIAC. After 2013, three were not within the NIAC absent additional consent, as they have been confirmed to have targeted Somalis. A further three are probably outside of a NIAC, again absent additional consent, as they targeted so many individuals in one instance as to have made it highly likely that Somalis would be killed. Finally, the remaining 15 may have been carried out within the NIAC, though if it transpires that Somali nationals were targeted then these too will fall outside the NIAC. Therefore, once again it is clear that the presumption that IHL applies to drone strikes in Yemen, manifest within US documents classifying these regions as ‘outside areas of active hostilities’, is mistaken. This in-depth application of the law governing the classification of armed conflict to the facts of covert US drone strikes has demonstrated that these operations have been carried out both during periods of NIAC and periods which cannot be classified as such. Adopting an objective view of the facts surrounding particular drone campaigns, it has been possible to determine when situations became NIAC and therefore periods during which the lawfulness of drone strikes should be analyzed using IHRL interpreted with reference to IHL and when, conversely, they should be analyzed according to the ordinary meaning of IHRL obligations. Therefore, it is incorrect to presumptively identify IHL as being the relevant paradigm for the analysis of these strikes, as has been done by the US through its designation of their having occurred ‘outside areas of active hostilities’. This phrase has no impact upon the character of the fighting to which it applies, and therefore has no bearing on the legal paradigm applicable. From a purely technical legal perspective, viewing the drone programmes in Pakistan, Yemen and Somalia as a whole, it has been possible to produce an overall picture of the extent to which drone strikes have been undertaken within armed conflict. It is submitted that, by July 2016, 515 strikes appear likely to have been undertaken as part of a NIAC and so may be judged according to IHRL interpreted in light of IHL. Conversely, 46 drone strikes are very likely to have been undertaken outside of NIACs and so their lawfulness must be assessed through the lens of IHRL alone and its attendant restrictions on the use of lethal force. There are 88 other strikes for which the answer is unclear, though a conclusion may be found if the nationality of those targeted can be confirmed (Somalia), if their militant affiliation can be determined (Pakistan) and if the law on the end of NIAC can be clarified (Yemen). The fact that determinations can be made as to the existence of NIAC in regions classified as ‘outside areas of active hostilities’ demonstrates the continued relevance of the international law governing the application of IHL. The framework is certainly not straightforward—particularly in terms of the end of NIAC—but it is submitted that it can nonetheless be successfully applied to the facts of modern and ultra-asymmetrical confrontations between NSAs and technologically advanced States. Thus there is no practical need to move away from this method of classifying conflicts. The system of identifying armed conflicts should be continued to be used and should certainly not be replaced with the use of obfuscatory phrases and the presumptive application of IHL in order to expedite the permissible use of military force and undermine relevant IHRL protections. More generally, it has been shown that the concept of operations ‘outside areas of active hostilities’ is devoid of normative content in law. Its use by the US centres on the presumptive application of IHL to situations in which drones have been used, in a manner irreconcilable with the objective identification of relevant legal paradigms that is clearly required by international law. Furthermore, the designation of a region as being ‘outside areas of active hostilities’ also provides no basis for IHL to be applied outside of armed conflict, for instance, in the form of ‘self-defence targeting’, and it should not be regarded as having such a capacity. It is submitted that these approaches to the application of IHL must be resisted as they greatly undermine the protections of those affected by uses of force. Armed conflict, and the higher levels of force that are permitted as a consequence of the operationalization of IHL, must remain exceptional, and should not be allowed to become normalized by being presumed to exist. The presumptive application of IHL in Pakistan, Yemen and Somalia is not only contrary to the law governing the identification of armed conflict, it also goes counter to the global trend surrounding the regulation of hostilities towards the increased expansion of IHRL obligations into armed conflict. It has been convincingly articulated by Daragh Murray and others that situations of armed conflict that are not ‘active hostilities’ will be governed by IHRL as the primary framework of international law.331 Under this approach, far from opening up the scope for permissive uses of force, classifying a situation as not ‘active hostilities’ would prohibit certain targeting practices that characterize US drone programmes, such as status-based targeting.332 It is therefore possible that the methods of combat permitted by US policy on operations ‘outside areas of active hostilities’, which are more restricted than those available under IHL normally,333 may ultimately be unlawful in some cases, by virtue of the very fact that they are conducted ‘outside areas of active hostilities’, therefore rendering IHRL the primary paradigm. This is an enticing line of argument and is one that must be pursued in the future. Variously referred to as remotely piloted aircraft systems, unmanned aerial vehicles or unmanned combat aerial systems, the term of ‘drone’ will be adopted throughout. Specifically, this article discusses armed combat drones that are piloted remotely; autonomous systems are outside of the scope of the work. Procedures for Approving Direct Action Against Terrorist Targets Located Outside the United States and Areas of Active Hostilities (22 May 2013), https://www.documentcloud.org/documents/3006440-Presidential-Policy-Guidance-May-2013-Targeted.html; Summary of Information Regarding United States Counterterrorism Strikes Outside Areas of Active Hostilities (1 July 2016), Office of the Director of National Intelligence, https://www.dni.gov/files/documents/Newsroom/Press%20Releases/DNI+Release+on+CT+Strikes+Outside+Areas+of+Active+Hostilities.PDF; Summary of 2016 Information Regarding United States Counterterrorism Strikes Outside Areas of Active Hostilities (19 January 2017), Office of the Director of National Intelligence, https://www.dni.gov/files/documents/Summary%20of%202016%20Information%20Regarding%20United%20States%20Counterterrorism%20Strikes%20Outside%20Areas%20of%20Active%20Hostilities.pdf. A minority view is that IHL displaces IHRL in its entirety, which was the position of the US until 2012 and continues to be the position of Israel. See, for instance, Green (2016). Legality of the Threat or Use of Nuclear Weapons, Advisory Opinion, ICJ Reports 1996, p. 226, paras. 24–25; Legal Consequences of the Construction of a Wall in the Occupied Palestinian Territory, Advisory Opinion, ICJ Reports 2004, p. 136, para. 106; IACHR, Coard and others v. United States, Report No. 109/99, Case No. 10.951 (29 September 1999), para. 142. Case Concerning Armed Activities on the Territory of the Congo (Democratic Republic of the Congo v. Uganda), ICJ Reports, p. 200, para. 216; IACHR, Serrano-Cruz v. El-Salvador, Preliminary Objections (23 November 2004), para. 112; Case of the ‘Mapiripán Massacre v. Colombia, Judgment (15 September 2005), para. 115; Case of the Afro-Descendant Communities Displaced from the Cacarica River Basin (Operation Genesis) v. Colombia, Judgment (20 November 2013), para. 221; ECtHR, Hassan v. United Kingdom, Judgment, App. No. 29750/09 (16 September 2014), para. 102. Commentators remain divided as to the nuances of the relationship between IHL and IHRL. See, for instance, Hill-Cawthorne (2015); Sivakumaran (2012), pp. 89–94; Greenwood (1999), pp. 288–289; Milanović (2011), p. 124; Scobbie (2010), pp. 456–457; Garraway (2010), pp. 509–510; Sassòli and Olson (2008), p. 605. On the shift in perception of IHL from a protective body of law to one that is permissive, see Kretzmer (2009), pp. 23–31. For instance, asserting that, ‘outside areas of active hostilities’, ‘absent extraordinary circumstance, direct action will only be taken if there is near certainty that the action can be taken without injuring or killing non-combatants’; Procedures, above n. 3, p. 1. This is more restrictive than the standard IHL proportionality requirement, which prohibits collateral damage ‘which would be excessive in relation to the concrete and direct military advantage anticipated’; see Henckaerts and Doswald-Beck (2005), ch. 4. Procedures, above n. 3, p. 1. Koh, ‘The Obama Administration and International Law’ (Speech at the Annual Meeting of the American Society of International Law 25 March 2010), http://www.cfr.org/international-law/legal-adviser-kohs-speech-obama-administration-international-law-March-2010/p22300 (emphasis added). Summary 2016, above n. 3. Statute of the International Court of Justice, Art. 38(1)(b). See, for instance, O’Connell (2012); Barnidge (2012); Schmitt (2012a); Pejić (2014); Gross (2015); Shah (2015); Heyns et al. (2016). Savage, ‘US Removes Libya From List of Zones with Looser Rules for Drone Strikes’, New York Times (20 January 2017), https://www.nytimes.com/2017/01/20/us/politics/libya-drone-airstrikes-rules-civilian-casualties.html?_r=0. Summary of Information Regarding United States Counterterrorism Strikes Outside Areas of Active Hostilities (1 July 2016), Office of the Director of National Intelligence, https://www.dni.gov/files/documents/Newsroom/Press%20Releases/DNI+Release+on+CT+Strikes+Outside+Areas+of+Active+Hostilities.PDF. Geneva Conventions, common Arts. 2 and 3. This conclusion reflects that of the US Supreme Court, which rejected the Bush administration’s claim that transnational conflict with a NSA was as IAC: Hamdan v. Rumsfeld 548 US 557, 629-631 (2006). As to the question of internationalized NIACs, see below, Sect. 2.2. Prosecutor v. Limaj, Bala and Musliu, IT-03-66-T, Judgment (30 November 2005), paras. 88–90 and 92. See also Geiß (2009), p. 133; Kreß (2010), p. 260; Sivakumaran (2012), p. 155. Prosecutor v. Tadić, IT-94-1-AR72, Decision on the Defence Motion for Interlocutory Appeal on Jurisdiction (2 October 1995), para. 70.
International Law Association Committee on the Use of Force, Hague Conference ‘Final Report on the Meaning of Armed Conflict in International Law’ (2010), p. 2. Prosecutor v. Milošević, IT-02-54-T, Decision on Motion for Judgment of Acquittal (16 June 2004), para. 26. ILA, above n. 24, p. 30. Tadić, above n. 23, para. 70. IACHR, Abella v. Argentina, Report No. 55/97, Case No. 11.137 (30 October 1997), paras. 147 and 155. Prosecutor v. Tadić, IT-94-1-T, Trial Chamber Opinion and Judgment (7 May 1997), paras. 565-566; Prosecutor v. Lubanga Dyilo, ICC-01/04-01/06, Decision on Confirmation of Charges (29 January 2007), para. 235; Prosecutor v. Delalić, Mucić, Delić and Landžo, IT-96-21-T, Judgment (16 November 1998), para. 189; Milošević, above n. 25, para. 28; Limaj, above n. 22, paras. 135, 138 and 141; Prosecutor v. Haradinaj, Balaj and Brahimaj, I-04-84-T, Judgment (3 April 2008), para. 49; Prosecutor v. Boškoski and Tarčulovski, IT-04-82-T, Trial Chamber Judgment (10 July 2008), para. 177. Tadić, above n. 31, para. 565; Milošević, above n. 25, para. 28. Tadić, above n. 31, para. 567; Dyilo, above n. 31, para. 235; Delalić, above n. 31, para. 190; Haradinaj, above n. 31, para. 49; Boškoski, above n. 31, para. 177. Tadić, above n. 31, para. 566; Milošević, above n. 25, para. 29. Delalić, above n. 31, para. 188. Delalić, above n. 31, para. 188; Milošević, above n. 25, para. 31. Milošević, above n. 25, para. 31; Limaj, above n. 22, para. 136; Haradinaj, above n. 31, para. 49; Boškoski, above n. 31, para. 177. Boškoski, above n. 31, para. 178. Abella, above n. 30, para. 155. Haradinaj, above n. 31, para. 60. Limaj, above n. 22, para. 90. Ibid., para. 145; Haradinaj, above n. 31, paras. 71-72. Limaj, above n. 22, paras. 101–103. Milošević, above n. 25, paras. 23-24; Haradinaj, above n. 31, para. 65. Ibid; Limaj, above n. 22, para. 129. Limaj, above n. 22, para. 129. Boškoski, above n. 31, para. 197. Abella, above n. 30, paras. 147 and 155. It is implicit in the dictum of the International Court of Justice in the Nicaragua case, asserting the possibility of an armed conflict that is ‘international in character alongside an internal armed conflict’: Case Concerning Military and Paramilitary Activities in and Against Nicaragua (Nicaragua v. United States), Merits, Judgment, ICJ Reports 1986, para. 219; likewise that of the ICTY in Prosecutor v. Tadić, IT-94-1-A, Appeals Chamber Judgment (15 July 1999), para. 84. Dinstein (2011), p. 6; Dinstein (2014), p. 86; Dinstein (2010), p. 27; Sivakumaran (2012), p. 222; Kreß (2010), p. 255; Pejić (2007), p. 91; Lubell (2012), p. 435; Lubell and Derejko (2013), pp. 67–68; Moir (2001), p. 51. ICRC Report on the 31st International Conference ‘International Humanitarian Law and the Challenges of Contemporary Armed Conflicts’ (Geneva, 2011) 31IC/11/5.1.2, p. 9; Sivakumaran (2012), p. 230. ICRC, above n. 56, p. 10; Akande (2012), p. 62; The Prosecutor v. Bemba Gombo, ICC-01/05-01/08, Decision on Confirmation of Charges (15 June 2009), paras. 245–246. Schmitt (2014), p. 10; Akande (2012), p. 57; Dinstein (2014), p. 27; Pejić (2007), p. 90; Sivakumaran (2012), p. 224; Moir (2002), pp. 50–51. See, for instance, Lietzau (2002), pp. 78–80; Shöndorf (2004); Corn (2007). Lubell and Derejko (2013), pp. 67–68; Lubell (2012), p. 435; Sassòli (2004); Sivakumaran (2012), p. 229; Bassiouni (2003), p. 99; Jinks (2003b), pp. 40–41; Jinks (2005), p. 189; ICRC, above n. 56, p. 10. Nicaragua and Tadić, above n. 54. The National Security Strategy of the United States of America (2002), preamble. National Strategy for Combating Terrorism (2003), p. 2. The National Security Strategy of the United States of America (2010), p. 19. The National Security Strategy of the United States of America (2015), p. 9. Obama, ‘Remarks by the President at the National Defense University’ (23 May 2013), The White House, https://obamawhitehouse.archives.gov/the-press-office/2013/05/23/remarks-president-national-defense-university. Walsh (2015), p. 352 (emphasis added). Milošević, above n. 25, paras. 23–24; Haradinaj, above n. 31, para. 65. Haradinaj, above n. 31, para. 60; Limaj, above n. 22, para. 129. Johnson, ‘National Security Law, Lawyers and Lawyering in the Obama Administration’ (Speech at Yale Law School 22 February 2012), http://www.cfr.org/defense-and-security/jeh-johnsons-speech-national-security-law-lawyers-lawyering-obama-administration/p27448. Walsh discusses the implicit inclusion of ‘associated forces’ within the Authorization of the Use of Military Force by virtue of Sect. 1021(b) (the ‘Affirmation of Authority’), National Defense Authorization Act 2011, both pieces of domestic US legislation. Walsh (2015), p. 354. Preston, ‘Prepared Statement on the Framework Under US Law for Current Military Operations’ (21 May 2014) before the United States Senate, Committee on Foreign Relations, p. 1. Co-belligerency can also occur through more formalized alliances. Oppenheim (1952), pp. 203 and 206. US Department of State, Country Reports of Terrorism 2012: Chapter 6, Foreign Terrorist Organizations, http://www.state.gov/j/ct/rls/crt/2012/209989.htm. Ackerman, ‘41 Men Targeted but 1,147 People Killed: US Drone Strikes—the Facts on the Ground’, Guardian (London 24 November 2014), http://www.theguardian.com/us-news/2014/nov/24/-sp-us-drone-strikes-kill-1147. Starr, ‘US Increasing the Pressure on Al-Shabaab in Somalia’, CNN (25 July 2015), http://edition.cnn.com/2015/07/24/politics/al-shabaab-u-s-strikes/. Schmitt (2012b), p. 130; Pejić (2014), pp. 83–84; Heller (2013), p. 110. Brennan, interview transcript Washington Post (Washington DC 9 May 2010), http://www.washingtonpost.com/wp-dyn/content/article/2010/05/09/AR2010050901442.html. Zalman, ‘Al Qaeda—Profile of Al Qaeda’, About News (24 November 2014), http://terrorism.about.com/od/groupsleader1/p/AlQaeda.htm. ‘Profile: Al Qaeda in the Arabian Peninsula’, Al Jazeera (London 9 May 2012), http://www.aljazeera.com/news/middleeast/2012/05/2012597359456359.html. Paulus and Vashakmadze (2009), p. 119; Kreß (2010), p. 261. Loahoud, ‘The Merger of al-Shabaab and Qa’idat al-Jihad’ (Combating Terrorism Center, 16 February 2012), https://www.ctc.usma.edu/posts/the-merger-of-al-shabab-and-qaidat-al-jihad. Preston, above n. 82, p. 3. Abella, above n. 30, para. 153. Letter from the Clerk of the Committee to Philip Spoerri, Legal Adviser, International Committee of the Red Cross and Reply (20 December 2002), http://www.publications.parliament.uk/pa/cm200203/cmselect/cmintdev/84/84ap09.htm. Preston, ‘The Legal Framework for the United States’ Use of Military Force since 9/11’ (Speech at the Annual Meeting of the American Society of International Law 10 April 2015), http://www.defense.gov/News/Speeches/Speech-View/Article/606662; Columbia District Court, Al Warafi v. Obama, Civil Action No. 09-CV-2368 (RCL), p. 1. Haradinaj, above n. 31, para. 49. Based on data compiled in: Crawford, ‘War-Related Death, Injury, and Displacement in Afghanistan and Pakistan 2001–2014’ (Costs of War Report, Brown University 22 May 2015), http://watson.brown.edu/costsofwar/files/cow/imce/papers/2015/War%20Related%20Casualties%20Afghanistan%20and%20Pakistan%202001-2014%20FIN.pdf, p. 2. ‘2,853 ANA Troops Killed in Action Since 2003’, Afghanistan Times (Kabul undated), http://old.afghanistantimes.af/news_details.php?id=9352. Nordland, ‘War Deaths Top 13,000 in Afghan Security Forces’, New York Times (New York 3 March 2014) http://www.nytimes.com/2014/03/04/world/asia/afghan-cabinet-releases-data-on-deaths-of-security-personnel.html?_r=0. Based on data compiled in: Crawford, above n. 107. Based on data from icasualties: http://icasualties.org/oef/. Ackerman and Rasmussen, ‘US to Deploy Hundreds of Troops in Afghanistan to Thwart Taliban’, Guardian (London 8 February 2016), http://www.theguardian.com/us-news/2016/feb/08/hundreds-us-troops-deployed-afghanistan-taliban-helmand. Roberts and others, ‘Barack Obama Delays Withdrawal of US Troops from Afghanistan’, Guardian (London 15 October 2015), http://www.theguardian.com/world/2015/oct/15/obama-delay-withdrawal-us-troops-afghanistan. Crawford, above n. 107, p. 9. ‘Who are the Taliban?’, BBC (London 29 September 2015), http://www.bbc.co.uk/news/world-south-asia-11451718. ‘Afghan Taliban Splinter Group Names Mullah Rasool as Leader’, BBC (London 4 November 2016), http://www.bbc.co.uk/news/world-asia-34719314. Goldstein and Mashal, ‘Taliban Fighters Capture Kunduz City as Afghan Forces Retreat’, New York Times (New York 28 September 2015), http://www.nytimes.com/2015/09/29/world/asia/taliban-fighters-enter-city-of-kunduz-in-northern-afghanistan.html. Nordland, ‘Taliban End Takeover of Kunduz After 15 Days’, New York Times (New York 13 October 2015), http://www.nytimes.com/2015/10/14/world/asia/taliban-afghanistan-kunduz.html. ‘Afghan and Taliban Forces Trade Blows in Sangin Battle’, Al Jazeera (London 25 December 2015), http://www.aljazeera.com/news/2015/12/afghan-taliban-forces-trade-blows-sangin-battle-151225073420126.html. Ilyas Khan, ‘Can a Historic Peace Deal be Secured with the Taliban?’, BBC (London 8 July 2015), http://www.bbc.co.uk/news/world-asia-33449809. Limaj, above n. 22, para. 125; Haradinaj, above n. 31, para. 60; Boškoski, above n. 31, para. 203. Khan and Rothwell, ‘Who is Haibatullah Akhundzada, the New Taliban leader?’, Telegraph (London 25 May 2016), http://www.telegraph.co.uk/news/2016/05/25/afghan-taliban-say-haibatullah-akhundzada-appointed-new-leader/. The Bureau of Investigative Journalism Naming the Dead database, as of June 2016. These figures do not cover all strikes carried out by the US in Pakistan, only those that the Bureau has identified the victims of, as this makes clear their militant affiliation. Blank and Farley (2011), p. 156. Golovnina, ‘Pakistan Says No to Military Action Against Taliban’, Reuters (London 17 December 2013), http://www.reuters.com/article/us-pakistan-taliban-idUSBRE9BG0TF20131217. Gul and Kakakhel, ‘TTP Tries to Justify Ruthless Killing of 23 FC Soldiers’, Dawn (Karachi 18 February 2014), http://www.dawn.com/news/1087719. ‘TTP Claims Attack on Karachi Airport’, Dawn (9 June 2014), http://www.dawn.com/news/1111397. Masood, ‘Senior Pakistani General is Killed in Insurgent Attack’, New York Times (New York 15 September 2014), http://www.nytimes.com/2013/09/16/world/asia/insurgent-attack-kills-senior-pakistani-general.html. Zahid, ‘The Successes and Failures of Pakistan’s Operation Zarb-e-Azb’, The Jamestown Foundation Terrorism Monitor (10 July 2015), http://www.jamestown.org/programs/tm/single/?tx_ttnews%5Btt_news%5D=44144&cHash=d4281630e5ad104ab6fbc0bd5f3bbf9f#.VsIEyZOLSRs. ‘US Defence Intelligence Chief Lauds Zarb-e-Azb, Karachi Operation’, Geo TV News (Karachi 11 February 2016), http://www.geo.tv/latest/101030-US-defence-intelligence-chief-lauds-Zarb-e-Azb-Karachi-Operation. Rana and Sial (2017), p. 14. Limaj, above n. 22, para. 135. Haradinaj, above n. 31, para. 49; Boškoski, above n. 31, paras. 177-178. Boone, ‘Isis Ascent in Syria and Iraq Weakening Pakistani Taliban’, Guardian (London 22 October 2014), http://www.theguardian.com/world/2014/oct/22/pakistani-taliban-spokesman-isis-pledge. Burke, ‘Bacha Khan University Attack: What is Tehreek-e-Taliban Pakistan?’, Guardian (London 20 January 2016), http://www.theguardian.com/world/2016/jan/20/bacha-khan-university-attack-what-is-tehreek-e-taliban-pakistan-ttp. ‘Haqqani Network’ (Mapping Militant Organizations, undated), https://web.stanford.edu/group/mappingmilitants/cgi-bin/groups/view/363. Zahra-Malik, ‘Pakistan Bans Haqqani Network After Security Talks with Kerry’, Reuters (London 16 January 2015), http://www.reuters.com/article/us-pakistan-militants-haqqani-idUSKBN0KP1DA20150116. Miller and Woodward, ‘Secret Memos Reveal Explicit Nature of US, Pakistan Agreement on Drones’, Washington Post (Washington DC 24 October 2013), www.washingtonpost.com/world/national-security/toppakistani-leaders-secretly-backed-cia-drone-campaign-secret-documents-show/2013/10/23/15e6b0d8-3beb-11e3-b6a9-da62c264f40e_story.html. ‘CIA and US Military Drone Strikes in Pakistan, 2004 to Present’ (The Bureau of Investigative Journalism), https://docs.google.com/spreadsheets/d/1NAfjFonM-Tn7fziqiv33HlGt09wgLZDSCP-BQaux51w/edit#gid=1436874561 (data as of July 2016). Blank and Farley (2011), p. 178. Tadić, above n. 23, para. 70 (emphasis added); reiterated in Art. 8(2)(f) of the Rome Statute. Paulus and Vashakmadze (2009), p. 119. These are the February 2010 suicide attack against a US armoured vehicle, killing three soldiers (Perlez, ‘Soldier Deaths Draw Focus to US in Pakistan’, New York Times (New York 3 February 2010), http://www.nytimes.com/2010/02/04/world/asia/04pstan.html?_r=0); the April 2010 attack on the US consulate in Peshawar, which caused no US and six Pakistani deaths, as well as property damage (Khan and Tavernise, ‘US Consulate in Pakistan Attacked by Militants’, New York Times (New York 5 April 2010), http://www.nytimes.com/2010/04/06/world/asia/06pstan.html); and the August 2011 kidnapping of a US aid worker in Lahore (Alexander, ‘American Aid Worker Warren Weinstein Kidnapped in Pakistan’, Telegraph (London 13 August 2011), http://www.telegraph.co.uk/news/worldnews/asia/pakistan/8699426/American-aid-worker-Warren-Weinstein-kidnapped-in-Pakistan.html). Milošević, above n. 25, para. 26. Boškoski, above n. 31, para. 184. Abella, above n. 30, para. 151. Milošević, above n. 25 para. 26 (emphasis added). ‘Yemen Forces “Kill 46 Militants”’, BBC (London 25 June 2004), http://news.bbc.co.uk/1/hi/world/middle_east/3839709.stm; ‘Clashes “Leave 118 Dead” in Yemen’, BBC (London 3 July 2004), http://news.bbc.co.uk/1/hi/world/middle_east/3863463.stm. Whitaker, ‘Yemeni Forces Kill Anti-US Cleric’, Guardian (London 11 September 2004), http://www.theguardian.com/world/2004/sep/11/yemen.brianwhitaker. ‘Yemen Profile—Timeline’, BBC (London 25 November 2015), http://www.bbc.co.uk/news/world-middle-east-14704951. Identical letters dated 26 March 2015 from the Permanent Representative of Qatar to the United Nations addressed to the Secretary-General and the President of the Security Council, UN Doc. S/2015/217. ‘Yemen Conflict: Civilians Killed in Air Strikes’, Al Jazeera (London 27 February 2016), http://www.aljazeera.com/news/2016/02/civilians-reported-killed-yemen-air-strikes-160227145903661.html. Letter from Abdul-Malik Badreddin al-Houthi to Kenneth Roth, Human Rights Watch, dated 29 Jumada II 1430 (23 June 2009). Mortimer, ‘Yemen Crisis: Saudi Arabia Ends Formal Ceasefire With Houthi Rebels After More Than 30 Fighters Killed Over Weekend’, Independent (London 4 January 2016), http://www.independent.co.uk/news/world/middle-east/yemen-crisis-saudi-arabia-ends-formal-ceasefire-with-houthi-rebels-after-40-fighters-are-killed-over-a6795501.html. Based on data from New America Foundation, available at http://securitydata.newamerica.net/drones/yemen-analysis.html#page1. This data refers to three strikes in which the target was ‘unclear’ but it is submitted that this is most likely to be a lack of clarity as to which of the three al-Qaeda affiliated groups were targeted, rather than a suggestion that the group might have been the Houthi rebels. ‘Yemen Crisis: Who is Fighting Whom?’, BBC (London 26 March 2015), http://www.bbc.co.uk/news/world-middle-east-29319423. Kirkpatrick and Fahim, ‘Saudi Leaders Have High Hopes for Yemen Airstrikes, but Houthi Attacks Continue’, New York Times (New York 2 April 2015), http://www.nytimes.com/2015/04/03/world/middleeast/yemen-al-qaeda-attack.html?_r=0. Breau and Aronsson (2012), p. 278. ICRC Annual Report 2012, vol. I, p. 452. Schaller (2015), p. 218; Fuller (2015), p. 35. ‘Profile: Al-Qaeda in the Arabian Peninsula’, BBC (London 16 June 2015), http://www.bbc.co.uk/news/world-middle-east-11483095. ‘Timeline: Al Qaeda Activity in Yemen’, Reuters (London 6 January 2010), http://www.reuters.com/article/us-yemen-qaeda-timeline-idUSTRE6052XK20100106. Roggio, ‘Osama Bin Laden’s Files: AQAP Emir Foreshadowed 2011 Takeover of Southern Yemen’, The Long War Journal (2 March 2016), http://www.longwarjournal.org/archives/2016/03/osama-bin-laden-documents-aqap-emir-outlined-strengths-prior-to-2011-takeover-of-southern-yemen.php. Mukhashaf, ‘Yemen Army Seizes Qaeda Bastion in Major Advance’, Reuters (London 15 June 2012), http://www.reuters.com/article/us-yemen-violence-idUSBRE85E0AG20120615. Letter of May 2012 from Nasir al Wuhayshi to Abdelmalek Droukdel, quoted in Roggio, above n. 188. Limaj, above n. 22, paras. 135–170. Raghavan, ‘Militants Linked to al-Qaeda Emboldened in Yemen’, Washington Post (Washington 13 June 2011), https://www.washingtonpost.com/world/militants-linked-to-al-qaeda-emboldened-in-yemen/2011/06/12/AG88nISH_print.html. Limaj, above n. 22, paras. 141, 142, 147 and 151. Haradinaj, above n. 31, para. 91. Limaj, above n. 22 para. 136; Milošević, above n. 25, para. 31. Dawood, ‘Broadened Military Attacks Purge Abyan’, Yemen Times (Sana’a, Yemen 14 May 2012), http://www.yementimes.com/en/1572/news/835/Broadened-military-attacks-to-purge-Abyan.htm. Milošević, above n. 25, para. 29. Limaj, above n. 22, para. 167. UNSC Res. 2014 (21 October 2011), UN Doc. S/RES/2014, para. 9 (emphasis added). Boškoski, above n. 31, para. 192. ‘“Al-Qaeda Attackers” Shoot Dead Five Yemeni Soldiers Before Fleeing’, Al Arabiya (Dubai 11 August 2013), http://english.alarabiya.net/en/News/middle-east/2013/08/11/-Al-Qaeda-attack-kills-five-Yemeni-soldiers-at-gas-terminal.html. Mukhashaf, ‘Suspected al Qaeda Attacks on Yemeni Forces Kill at Least 31’, Reuters (London 20 September 2013), http://www.reuters.com/article/us-yemen-attack-idUSBRE98J04V20130920. ‘Suspected al-Qaeda Militants Storm Yemeni Army Base’, BBC (London 30 September 2013), http://www.bbc.co.uk/news/world-middle-east-24335568. ‘Al-Qaeda Claims Attack on Yemen Defence Ministry’, BBC (London 6 December 2013), http://www.bbc.co.uk/news/world-middle-east-25256368. ‘Militants Kill 10 Soldiers in Central Yemen’, Arab American News (Michigan 17 January 2014), http://www.arabamericannews.com/news/news/id_8133; ‘Yemen Attack on Military Checkpoint “Kills 20 Soldiers”’, BBC (London 24 March 2014), http://www.bbc.co.uk/news/world-middle-east-26712897; Al-Haidari, ‘30 Dead as Yemen Army Launches New Assault on Qaeda’, Lebanon Daily Star (Beirut 29 April 2014), http://www.dailystar.com.lb/News/Middle-East/2014/Apr-29/254829-30-dead-as-yemen-army-launches-new-assault-on-qaeda.ashx#axzz30LUUnOrr/. ‘Al-Qaeda Takes Control of Yemen’s Southern City of al-Houtha’, Al Arabiya (Dubai 20 March 2015), http://english.alarabiya.net/en/News/middle-east/2015/03/20/Al-Qaeda-takes-control-of-Yemen-s-southern-city-of-al-Houta.html. ‘Yemen Officials Say Al-Qaida Seizes Key Areas of Aden’, Daily Mail (London 22 August 2015), http://www.dailymail.co.uk/wires/ap/article-3207059/Yemen-officials-say-al-Qaida-seizes-key-areas-Aden.html. Aboudi, ‘Islamists Rise as Chaos Descends in Yemen’s Cosmopolitan Port’, Reuters (London 27 October 2016), http://www.reuters.com/article/us-yemen-security-aden-insight-idUSKCN0SL0S320151027. ‘Yemen Declares Curfew in Aden as Government Forces Retake Strategic Port’, Guardian (London 4 January 2016), http://www.theguardian.com/world/2016/jan/04/yemen-declares-curfew-in-aden-as-government-forces-retake-strategic-port. ‘Yemen (Houthis/AQAP/SMM)’ (International Institute for Strategic Studies, Armed Conflict Database, undated), https://acd.iiss.org/en/conflicts/yemen--houthis-aqap-smm-9651?as=5CCB6A81596A491F8F42886AED782B28. Sivakumaran (2012), p. 252–254; Dinstein (2014), pp. 48–50. Tadić, above n. 23, para. 70 (emphasis added). Haradinaj, above n. 31, para. 100. Though common Art. 2 applies in ‘all cases of declared war’ (emphasis added), it also covers ‘any other armed conflict which may arise’, thus removing the important role declarations previously played. In terms of NIACs, common Art. 3 does not require a declaration and the Tadić definition considers only the factual interaction of parties to a conflict. Final Record of the Diplomatic Conference of Geneva (1949) IIB, 10 (UK). It was also asserted that ‘even if war was not recognized, the rules concerning the conduct of war should be applied’, ibid., 11 (Norway). Milanović (2014), p. 170 (emphasis added). This is purely work of the devil’s advocate; the present author submits that, even if attributable to a single NSA, six attacks over six years are manifestly isolated and sporadic and below the intensity threshold. The al-Qaeda bombings in New York, Madrid, Bali, London and Amman; Dalton (2006), p. 527. UNSC Res. 2201 (15 February 2015), UN Doc. S/RES/2201. UNSC Res. 2216 (14 April 2015), UN Doc. S/RES/2216. ‘Al-Qa’ida in the Arabian Peninsula (AQAP)’, Counterterrorism Guide (United States National Counterterrorism Center, undated), http://www.nctc.gov/site/groups/aqap.html. Mazzetti and Shane, ‘For US, Killing Terrorists is a Means to an Elusive End’, New York Times (New York 16 June 2015), http://www.nytimes.com/2015/06/17/world/middleeast/al-qaeda-arabian-peninsula-yemen-nasser-al-wuhayshi-killed.html?ref=middleeast&_r=0. ‘Al-Qa’ida in the Arabian Peninsula (AQAP)’ (Council on Foreign Relations, 19 June 2015), http://www.cfr.org/yemen/al-qaeda-arabian-peninsula-aqap/p9369. Al-Moshki, ‘AQAP Apologizes for Hospital Attack in Ministry of Defense Operation’, Yemen Times (Sana’a, Yemen 24 December 2013), http://www.yementimes.com/en/1740/news/3270/AQAP-apologizes-for-hospital-attack-in-Ministry-of-Defense-operation.htm. Al-Qalisi, ‘Al Qaeda Seizes two Districts in Yemen’s Abyan Province’, National (Abu Dhabi 3 December 2015), http://www.thenational.ae/world/middle-east/al-qaeda-seizes-two-districts-in-yemens-abyan-province. Limaj, above n. 22, para. 145; Haradinaj, above n. 31, paras. 71–72. ‘US Strikes in Yemen, 2002 to Present’ (The Bureau of Investigative Journalism), https://docs.google.com/spreadsheets/d/1lb1hEYJ_omI8lSe33izwS2a2lbiygs0hTp2Al_Kz5KQ/edit#gid=492674230 (data as of July 2016). Heller and Dehn (2011), p. 183. Whitaker, ‘Death for USS Cole Bombing’, Guardian (London 30 September 2004), http://www.theguardian.com/world/2004/sept/30/alqaida.terrorism. ‘Al-Qaeda Wing Claims Christmas Day US Flight Bomb Plot’, BBC (London 28 December 2009), http://news.bbc.co.uk/1/hi/world/middle_east/8433151.stm. Mazzetti and Worth, ‘US Sees Complexity of Bombs as Link to Al Qaeda’, New York Times (New York 30 October 2010), http://www.nytimes.com/2010/10/31/world/31terror.html?pagewanted=all. Profile: AQAP, above n. 169. Lubell and Derejko (2013), p. 78. See also above nn. 154–155. TBIJ Yemen, above n. 256. ‘Somalia: Reported US Covert Actions 2001–2016’ (The Bureau of Investigative Journalism), https://www.thebureauinvestigates.com/2012/02/22/get-the-data-somalias-hidden-war/. ‘Somalia: 2015 Country Review’ (Country Watch 2015), http://www.countrywatch.com/Content/pdfs/reviews/B44Q9Q34.01c.pdf p. 8. See, for instance, ‘Country Profile: Somalia’, Al Jazeera (London 9 September 2012), http://www.aljazeera.com/news/africa/2012/08/201281985222499991.html; ‘Somalia Country Profile’, BBC (London 4 February 2016), http://www.bbc.co.uk/news/world-africa-14094503. Agreement Between The Transitional Federal Government of Somalia and The Alliance for the Re-liberation of Somalia (9 June 2008), http://unpos.unmissions.org/Portals/UNPOS/Repository%20UNPOS/080818%20-%20Djibouti%20Agreement.pdf. ‘Somali Insurgents “Take Key Port”’, BBC (London 22 August 2008), http://news.bbc.co.uk/1/hi/world/africa/7576307.stm. Adow, ‘Islamic Rebels Grab Key Somali Port’, CNN (12 November 2008), http://edition.cnn.com/2008/WORLD/africa/11/12/somalia.towns.seized/. African Union, Peace and Security Council Communique (19 January 2007), PSC/PR/Comm. (LXIX), para. 9. UNSC Res. 1814 (15 May 2008), UN Doc. S/RES/1814, para. 16. The lack of specificity as to the commencement of the NIAC is not problematic in the current context as US drone strikes did not begin until 2011. ‘At Least 35 Killed in Somali Clashes’, New York Times (New York 10 May 2009), http://www.nytimes.com/2009/05/11/world/africa/11somalia.html. ‘Nearly 40 Killed in Mogadishu, Mosque Hit’, Radio France Internationale (Paris 11 May 2009), http://www1.rfi.fr/actuen/articles/113/article_3731.asp. ‘Mogadishu Victims Swamp Hospitals’, BBC (London 27 May 2009), http://news.bbc.co.uk/1/hi/world/africa/8070144.stm. ‘Troops Reinforce Somalia Airport’, BBC (London 26 May 2009), http://news.bbc.co.uk/1/hi/world/africa/8068455.stm. See, for instance, Khalif, ‘AMISON Troops Drive Shabaab Out of Suburbs’, Daily Nation (Nairobi 20 January 2012), http://www.nation.co.ke/News/africa/Amisom+troops+drive+Shabaab+out+of+suburbs+±/1066/1311036/-/v1f373z/-/index.html; ‘Somalia al-Shabab Militant Base of Baidoa Captured’, BBC (London 22 February 2012), http://www.bbc.co.uk/news/world-africa-17127353; ‘Somalia Forces Capture Key al-Shabab Town of Afmadow’, BBC (London 31 May 2012), http://www.bbc.co.uk/news/world-africa-18288639; Ni Chonghaile, ‘Kenyan Troops Launch Beach Assault on Somali City of Kismayo’, Guardian (London 28 September 2012), http://www.theguardian.com/world/2012/sep/28/kenyan-soldiers-capture-kismayo-somalia. Flood and Albadri, ‘Massive al-Shabaab Suicide Bomb Kills Over 80 in Somali Capital Mogadishu’, Telegraph (London 4 October 2011), http://www.telegraph.co.uk/news/worldnews/africaandindianocean/somalia/8806699/Massive-al-Shabaab-suicide-bomb-kills-over-80-in-Somali-capital-Mogadishu.html; Pflanz, ‘Al-Shabaab Suicide Bomber Dies in Attack on Somalia Presidency’, Telegraph (London 29 January 2013) http://www.telegraph.co.uk/news/worldnews/africaandindianocean/somalia/9834874/Al-Shabaab-suicide-bomber-dies-in-attack-on-Somalia-presidency.html; ‘Al-Shabaab Attack on Somalia AU Base Kills 50 Ugandan Troops, Another 50 Missing: Western Sources’, Mail & Guardian Africa (Johannesburg 2 September 2015), http://mgafrica.com/article/2015-09-02-al-shabaab-attack-on-somalia-au-base-killed-50-ugandan-soldiers-another-50-missing-western-sources. AMISOM: Mission Profile: Military Component, http://amisom-au.org/mission-profile/military-component/. ‘Who are Somalia’s al-Shabaab?’, BBC (London 3 April 2015), http://www.bbc.co.uk/news/world-africa-15336689. Mohamed, ‘Al-Shabaab “Retreats” in Battle for Town’, Al Jazeera (London 8 March 2014), http://www.aljazeera.com/news/africa/2014/03/al-shabab-retreat-battle-town-201437145216588883.html; ‘AMISOM and Somali Forces Liberate Barawe, Al-Shabab’s Biggest Stronghold’, Raxanreeb (Mogadishu 5 October 2014), http://www.raxanreeb.com/2014/10/somalia-breaking-news-amisom-and-somali-forces-liberate-barawe-al-shababs-biggest-stronghold/. African Union, Peace and Security Council Communique (30 June 2015), PSC/PR/Comm. (DXXI), para. 12.1. Security Council S/RES/2232 (2015); Security Council S/RES/2244 (2015). Mutambo, ‘Cache of Weapons Headed for Somalia Seized: Australian Navy’, Daily Nation (Nairobi 7 March 2016), http://www.nation.co.ke/todays+paper/-/1952564/1952564/-/jok9us/-/index.html. ‘Somalia’s al-Shabaab Launch TV Channel’, Mail & Guardian (Johannesburg 5 February 2011), http://mg.co.za/article/2011-02-05-somalias-alshabaab-launch-tv-channel/. Rogin, ‘Somali President Asks for More American Help’, Foreign Policy (18 January 2013), http://foreignpolicy.com/2013/01/18/somali-president-asks-for-more-american-help/. Two against Ahmed Abdi Godane and one against Abu Ubaidah, both of whom were leaders of al-Shabaab from Somalia: TBIJ Somalia, above n. 275. Pantucci and Sayyid, ‘Foreign Fighters in Somalia and al-Shabaab’s Internal Purge’ (Jamestown Foundation: Terrorism Monitor, 2013), http://www.jamestown.org/single/?no_cache=1&tx_ttnews%5Btt_news%5D=41705#.Vvz1y5MrKRs. TBIJ Somalia, above n. 275. See above, Sect. 3.3.3 AQAP and the US. Austin, ‘SEAL Somalia Target Named as “Ikrima” as Questions Remain About Aborted Mission’, NBC News (New York 7 October 2013), http://www.nbcnews.com/news/other/seal-somalia-target-named-ikrima-questions-remain-about-aborted-mission-f8C11349411. Karimi and others, ‘Al-Shabaab Threatens Malls, Including Some in US: FBI Plays Down Threat’, CNN (22 February 2015), http://edition.cnn.com/2015/02/21/us/al-shabaab-calls-for-mall-attacks/.